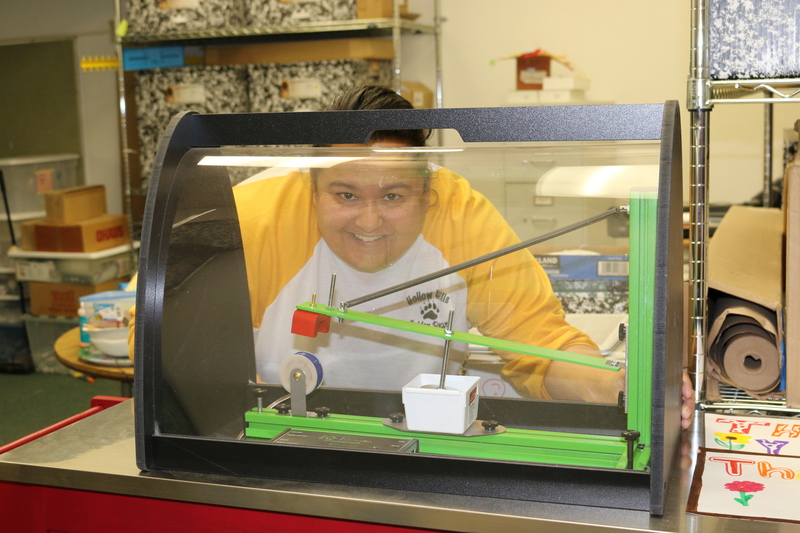 Caroline Hardeman, a sixth grade teacher at Hollow Hills Elementary School, shows off her new class seismograph, purchased through donations over DonorsChoose.org. Caroline Hardeman is no novice to classroom fundraising. Over the years, the veteran sixth-grade teacher has proudly pursued any opportunity to help fund different material needs that arise from her ever-expanding repertoire of science lessons. Sometimes the hunt for funds ended successfully and quickly. Other times, it felt like wasted time. The clouds parted and the angels sang as much-needed supplies and equipment found their way to Classroom A6 at Hollow Hills. DonorsChoose is a non-profit company that enables public school teachers (and only teachers) throughout the country to create fundraising campaigns to buy specific classroom supplies through charitable donations. Teachers “shop” for what they need through Amazon. Then they create a campaign–a webpage on the DonorsChoose site where they write about what they want for their classroom and why, set a funding goal and a time limit. Outreach comes next, with many teachers using Facebook and other social media to get the word out to parents. Some send notes home or ask parents directly. Donors give directly through the DonorsChoose website, eliminating the need for the schools or districts to monitor the money received. The donations are banked in an account for the teacher and when the goal is met, the teacher can order the supplies and materials directly through Amazon. 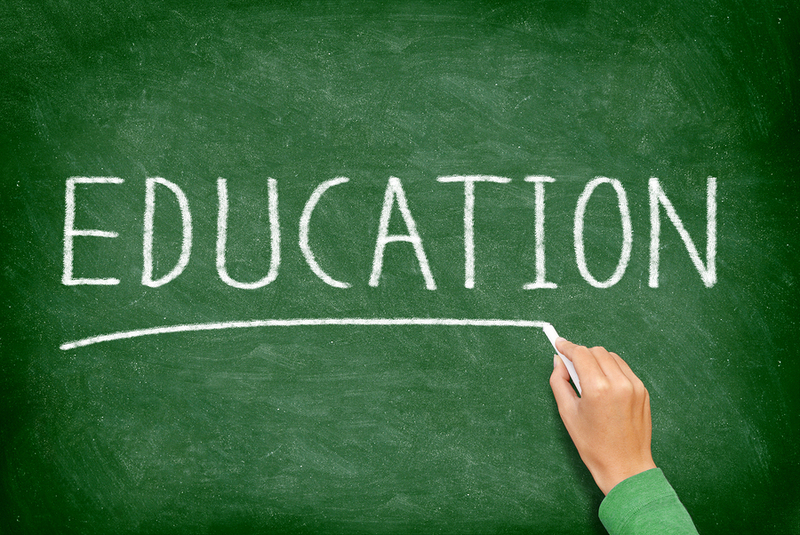 DonorsChoose handles all of the tax notices; all donations are charitable deductions. Should a goal not be met for a specific campaign, the money that is raised is banked for the teacher to use for other supplies. In the last year, Hardeman has launched four campaigns, all successful. Her requests included a seismograph ($938), a tectonics demonstration model and lab supplies to teach about earthquakes ($878) and supplies for starting a school garden and compost center ($993). And last month, Hardeman raised $2,051 to purchase an wall-mounted projector for her classroom that replaces some aging equipment. One of the best aspects of DonorsChoose is that they’ve formed partnerships with foundations and corporations to help fund specific projects. In Hardeman’s case, three of her four campaigns were partly funded with matching grants, two from Disney and one from the Bill & Melinda Gates Foundation. That means that less money is needed from parents and friends to fund a campaign. Sixth grade teacher Holly Dye uses DonorsChoose to supplement her English classroom’s reading materials. 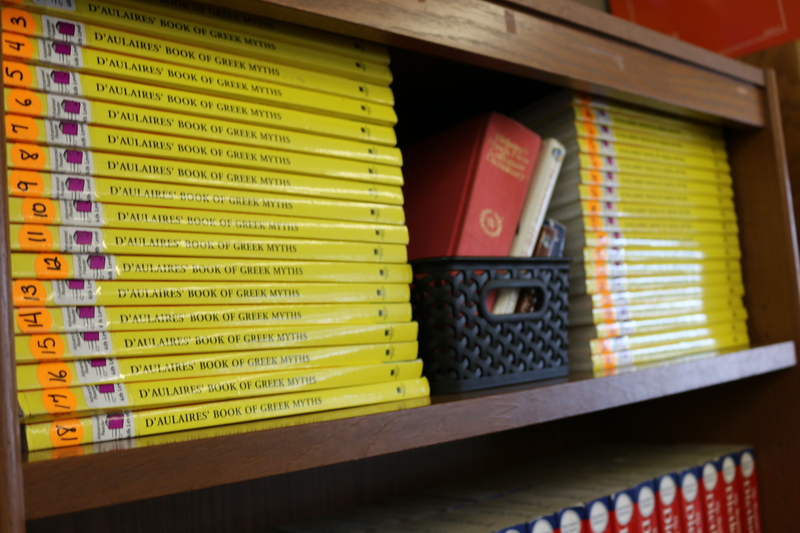 Hardeman’s teaching partner, Holly Dye, used DonorsChoose a couple of years ago to fund a classroom set of mythology books. Thirty-six copies of “D’Aulaires Book of Greek Myths” sit proudly on Dye’s shelf. Dye also used DonorsChoose to buy masks and graphic novels for her classroom. DonorsChoose supports itself through a voluntary contribution added to the teacher’s campaign. Suggested at 15%, the donation is enough to support the 14-year-old company.